This is one stout piece. 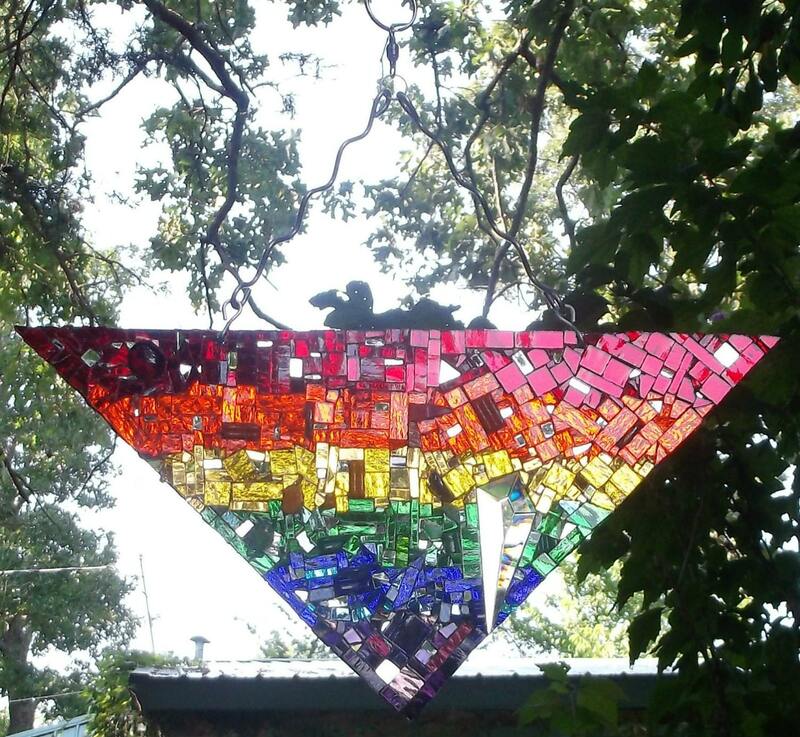 A steel triangle foundation is covered on both sides by bazillions of small to teeny tiny mosaic mirrors, color appropriate glass drops, and a few matte pieces for a bit of contrary decorum. Silver mirror bits sprinkled throughout flash among the colorful bands. 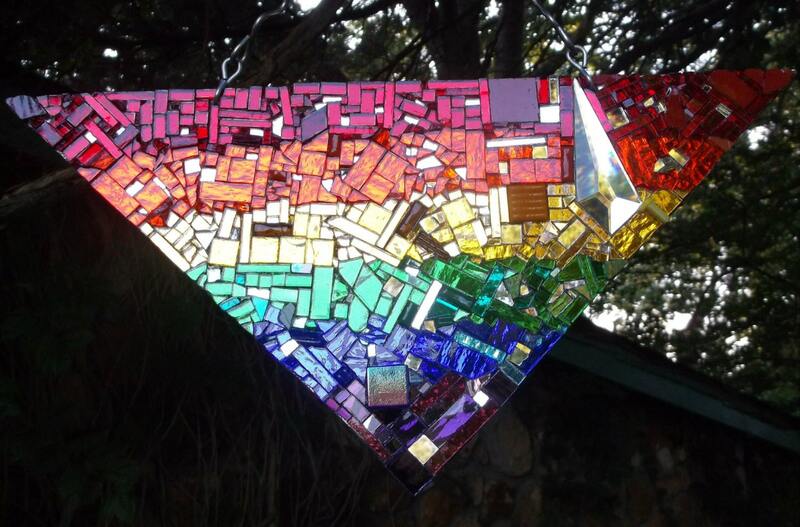 On one side a prism drop is high. On the other side a prism drop is low. 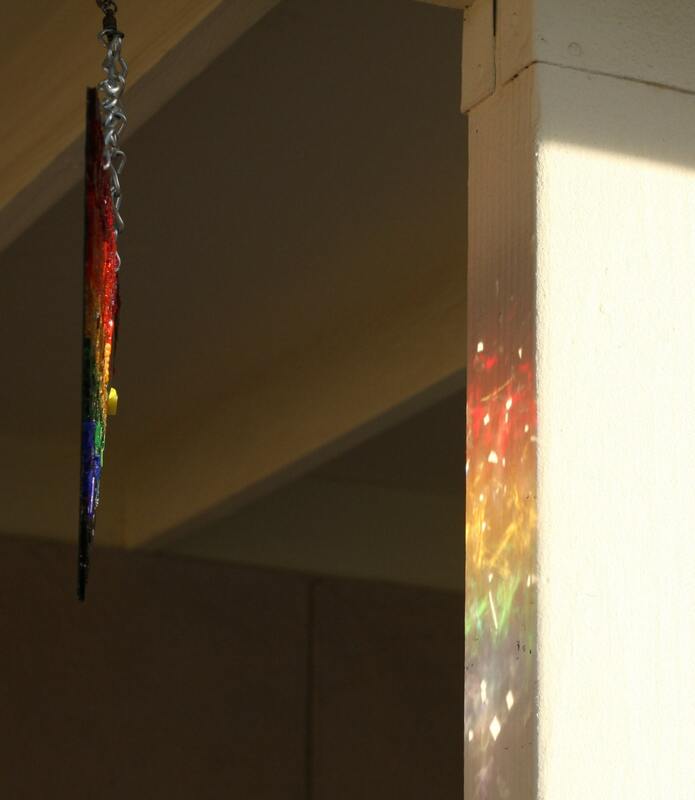 Together, when light hits just so, they flash--what else--RAINBOW reflections! Excess is never enough with color and sparkle. The steel triangle base is 16" across the top, 11" down the side. The piece hangs approximately 14.5" from the steel ring at the top of the chain. 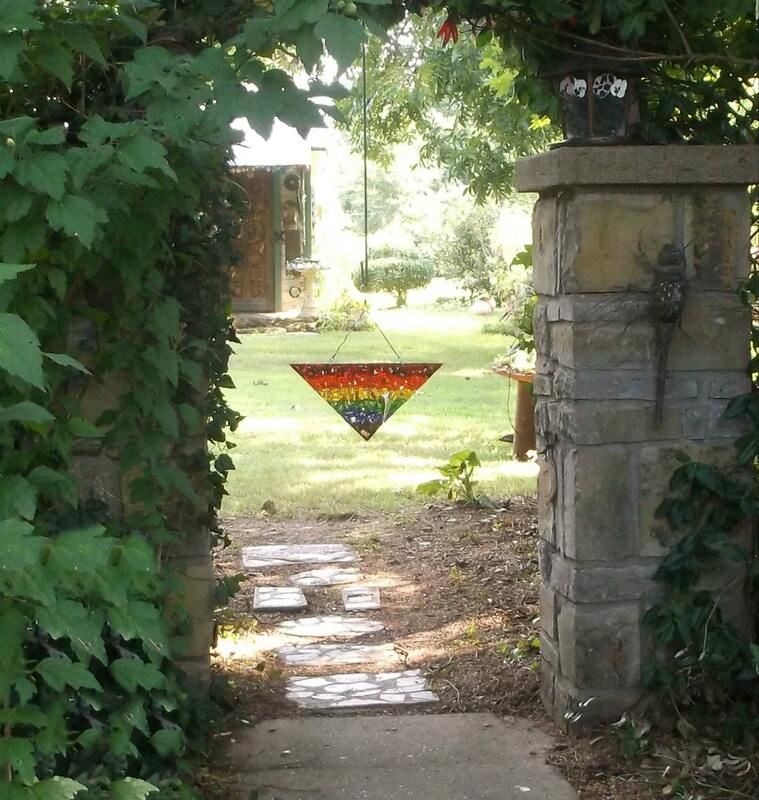 The triangle hangs from two hand-made stainless steel squiggly hooks. The triangle turns on a 260-pound capacity ball bearing swivel. 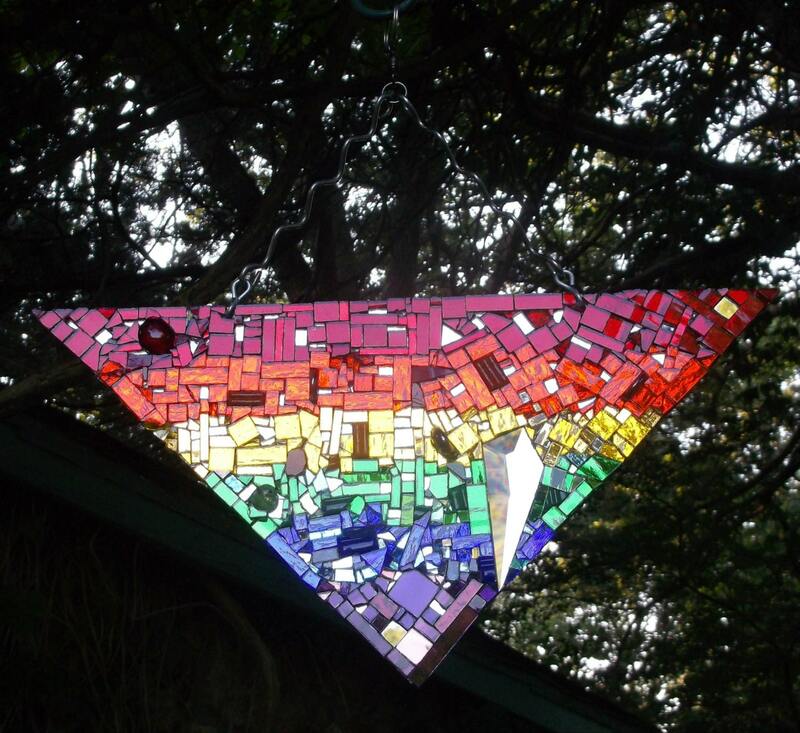 Each mosaic mirror piece is set cheek by jowl for a tight abstract fit. Hang it high inside or outside. Signed by maker Jan Meng.